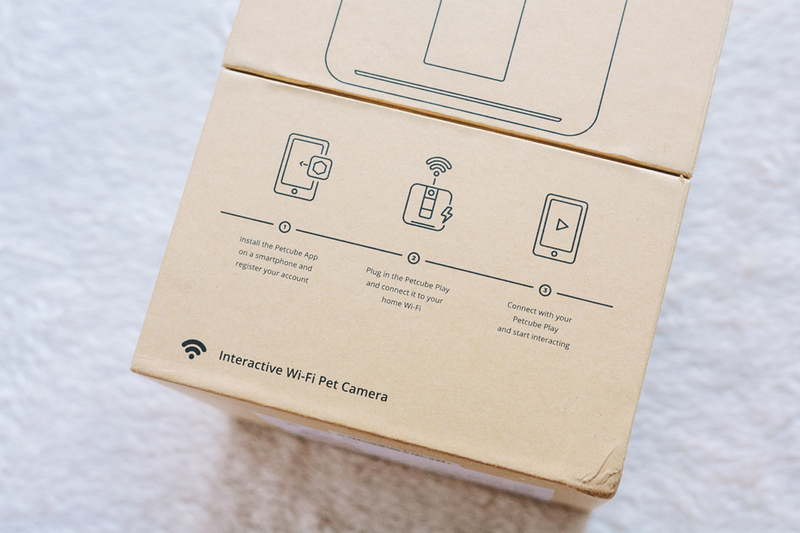 The Petcube Play is an interactive Wi-Fi pet camera that helps you stay connected to your pets when you are not at home. 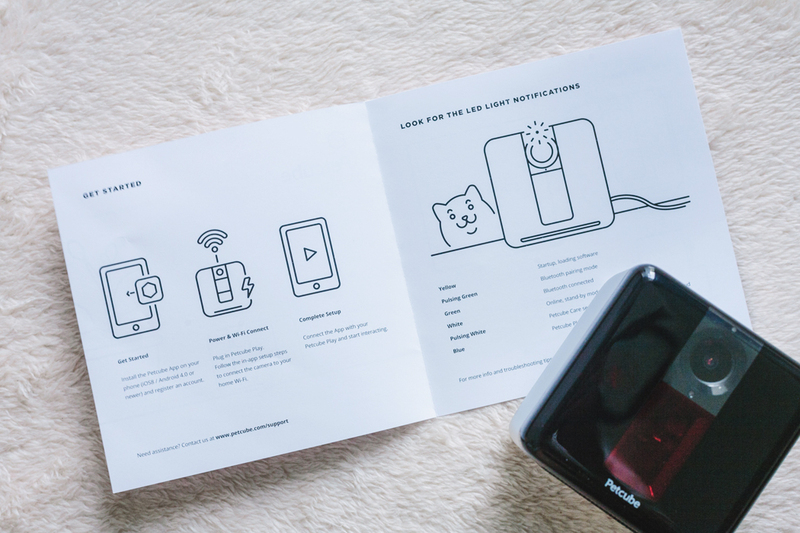 The Petcube pet monitor system lets you watch, talk and play laser games with your pet from anywhere using your smartphone (iOS and Android compatible). 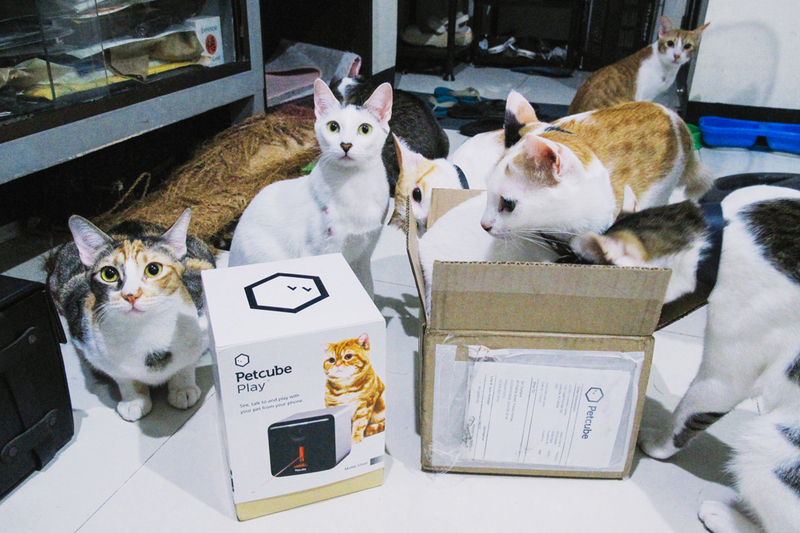 Its predecessor, the Petcube Camera, was brought to life in 2013 via Kickstarter. The response was so good that a few years later, they came out with the Petcube Play, the next-gen version of the original Petcube Camera. 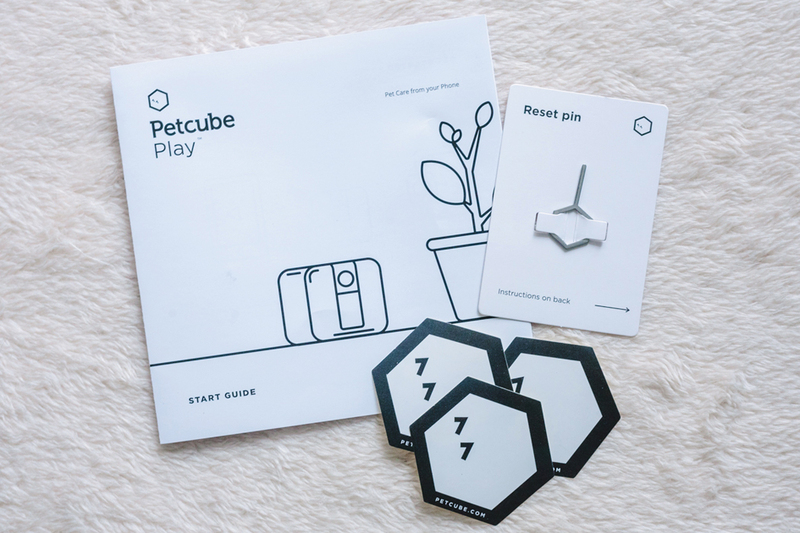 Both the Petcube Play and the Petcube Camera come with 2-way audio, an interactive laser you control from your phone, and autoplay mode. The main difference is that Petcube Play has been upgraded from 780p to 1080p, and now includes night vision. It's also 58% smaller than its predecessor, and comes with easy Bluetooth setup. Even the packaging is well-designed, I had to take photos! I like that you can find all the basic info on the box itself. I see the phrases "major advocates of pet rescue" and "supporting adoption activities" – instant plus points! 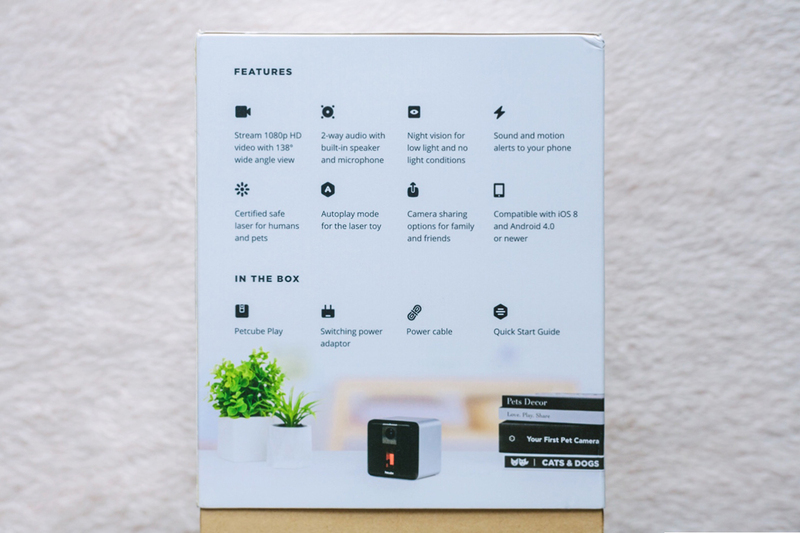 Inside the box are the Petcube Play, the power adaptor, the 9ft USB power cord, the Start Guide, the reset pin, and some stickers. 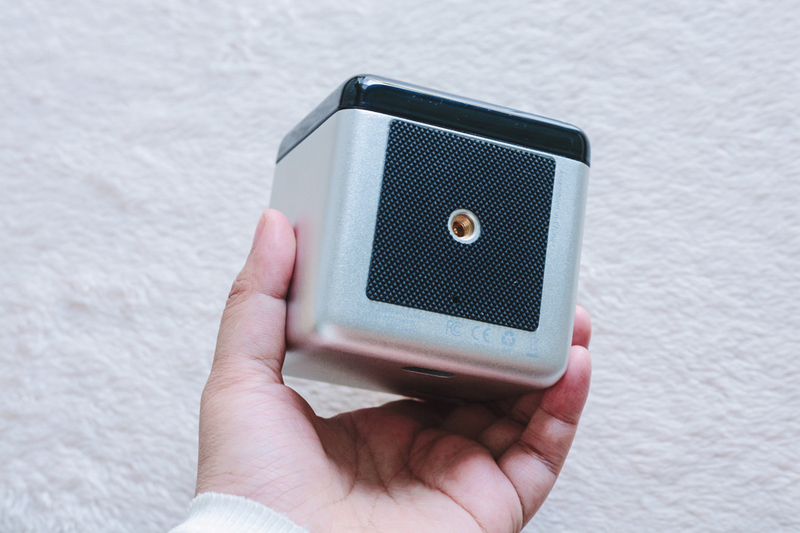 The Petcube Play is quite compact, 3"x3"x3" in size (compared to the 4"x4"x4" Petcube Camera). It comes in 3 colors—Matte Silver (which we have), Carbon Black, and Rose Gold. (Had I known, I would've gone with the Rose Gold, because #aesthetics) It's slightly heavy, like a paperweight, and comes with a rubber non-slip bottom so the chances of it getting knocked over are quite low. But if you have mischievous kitties like us, you can't take any chances. 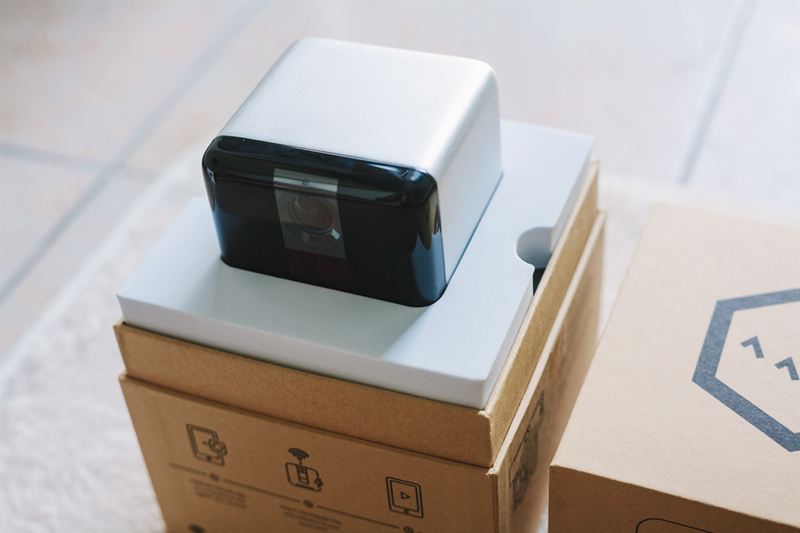 Make sure to place it in an area where your cats can't climb up and push the Petcube off. It also has a standard tripod mount if you want to use a tripod to prop it up. With the new Bluetooth setup feature, setting up the Petcube Play is super easy. 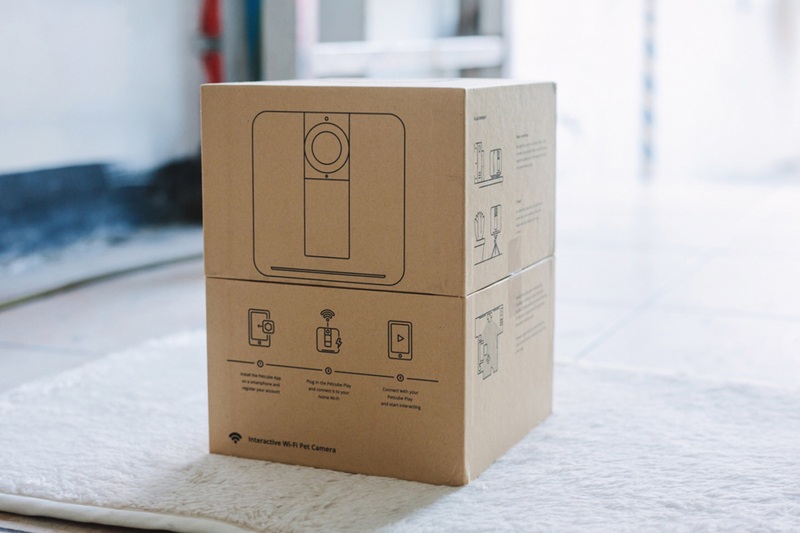 All you have to do is install the app on your smartphone, plug in the Petcube Play, then follow the in-app setup steps to connect the Petcube to your Wi-Fi and to your app. Make sure your Wi-Fi connection is working. Setup for me took only a little over five minutes. Easy! Once you've set it up, you're free to watch and play with your pets anywhere and anytime! This is what the camera looks like! The lighting in our apartment is pretty bad, which is why the picture looks a bit dark. 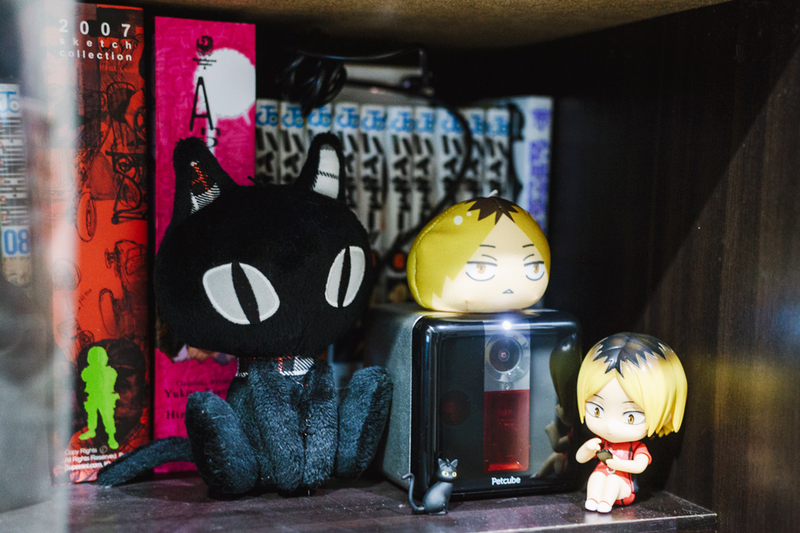 Plus, we placed it inside one of the bookshelves with glass doors (? ), because we were afraid one of the cats might knock it over if it's not in an enclosed space. (Knowing our cats, they'll try to climb up to where the Petcube is once they see it.) The picture isn't dark because of the camera. 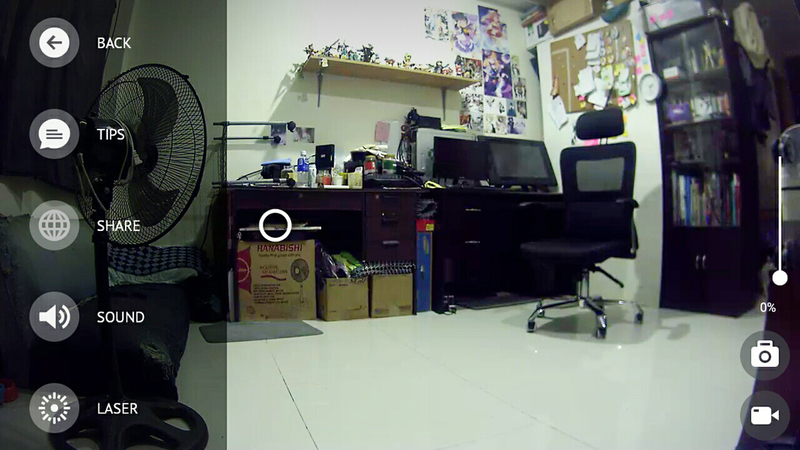 Also, these were screenshots of what you see on the camera. The actual photos and videos taken with the Petcube don't show the app interface. Only videos taken using the app has the Petcube logo on the upper right. The Petcube app can send notifications to your smartphone whenever motion or sound is detected on your Petcube Play camera. 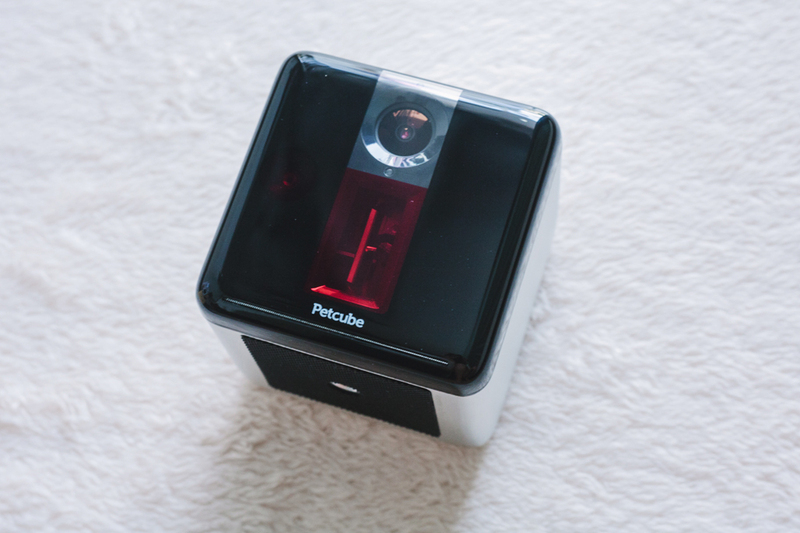 If you avail of Petcube Care, the Petcube app will record videos triggered by motion and sound detection and you can configure notifications to be sent as soon as new video recordings are available. This is a really big deal for us because we're always worried about things being knocked over while we're away, or even when we're just hanging out and having coffee outside our apartment. The kids can get really rowdy when we go out at times, and sometimes we come home and see a bunch of stuff knocked over. (Aian's biggest fear is that one of them might climb on the back of the Cintiq and accidentally push it off his desk. Two of our cats, Mimi and Leng, are almost at 6kg, so this is not at all impossible.) Whenever we go out I turn sound detection notifications on, so when I get notified I can check on them right away. I keep motion detection notifications turned off, because when the kids are hyper and start running all over the place, notifications would keep popping up like crazy lol. Of course, what makes this different from a regular surveillance camera is the laser feature! 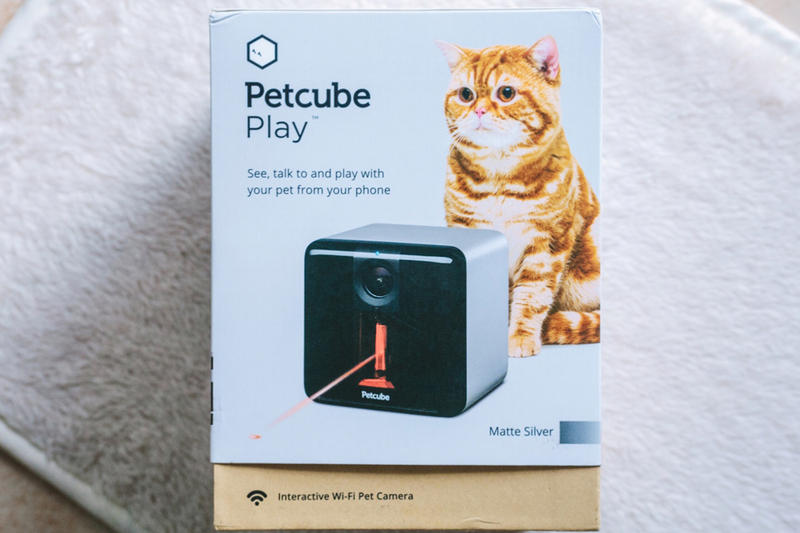 The Petcube comes with a built-in 5mW 3R class laser, certified and safe for both humans and pets. This was the feature we were all very excited about. For any cat owner, there's nothing more amusing than seeing your cat (or in our case, our seven cats) running all over the place trying to catch the elusive red dot. And with this new technology, we're able to control the red dot with a touch of the screen. Amazing. I try not to do this while I'm outside though, as I might end up looking like an idiot giggling to myself. 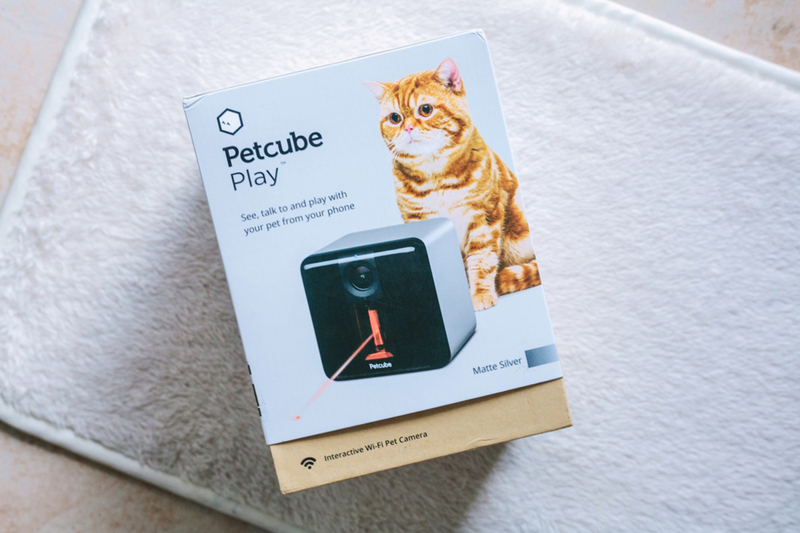 The Petcube Play also has an Auto-play function, which makes the red dot move around according to the movements it senses with the motion detector. I think this is great if you need to keep your cats occupied. I don't know if this would be of much use for dogs though. 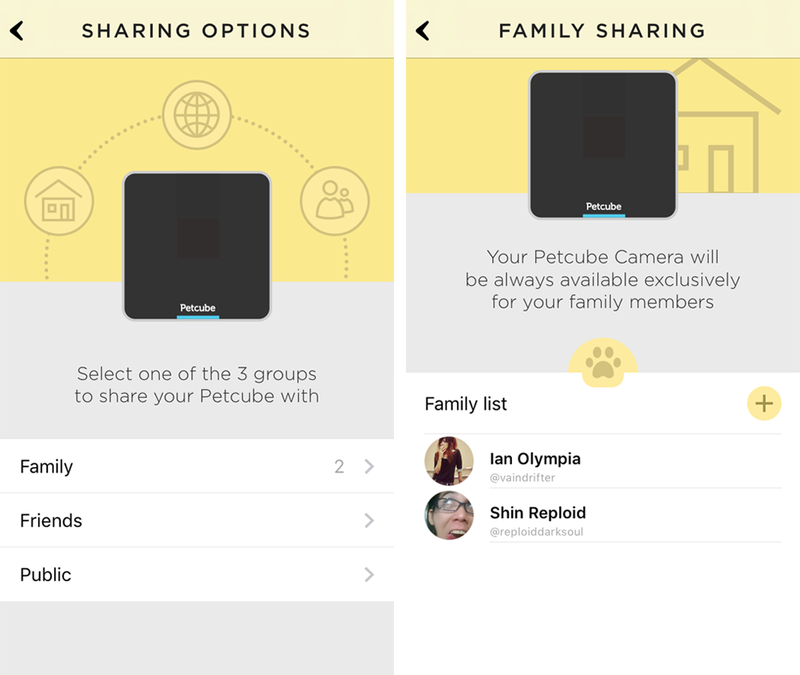 As I mentioned earlier, you have the option to share your Petcube's video feed with family, friends, or the public. The default setting is private. 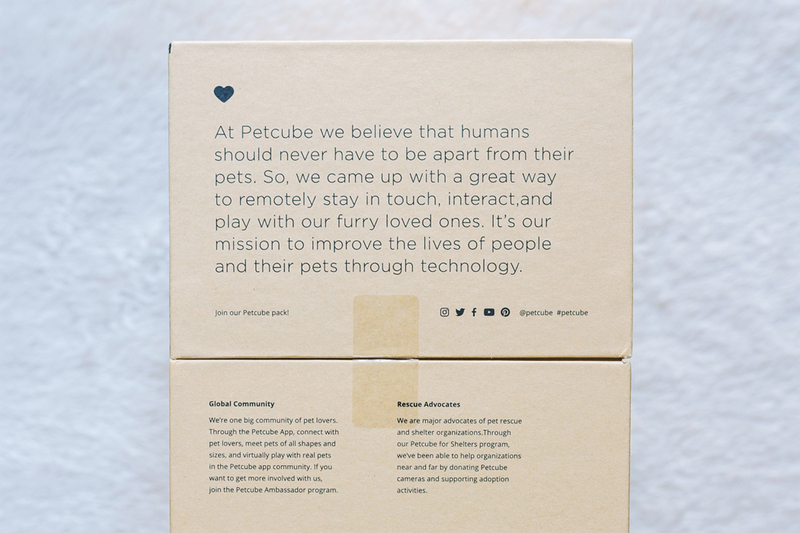 To be able to share with family and friends, they need to download the Petcube app and create an account. Aian and his brother did so using their Facebook accounts, so I was able to invite them to the Family list at once. 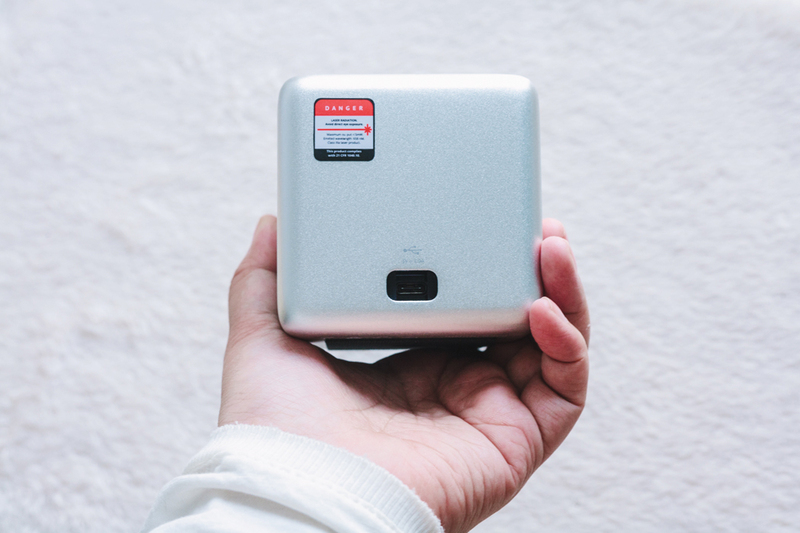 The difference between Family, Friends, and Public sharing is that for Family, they're able to use your Petcube at any time, while the other two are not so free to do so. For Friends and Public Sharing, you can choose the time and date when it's okay to use the Petcube. You can also choose whether or not they can talk to your pets (having strangers talk to our cats is a bit....) or play with your pets using the laser function. 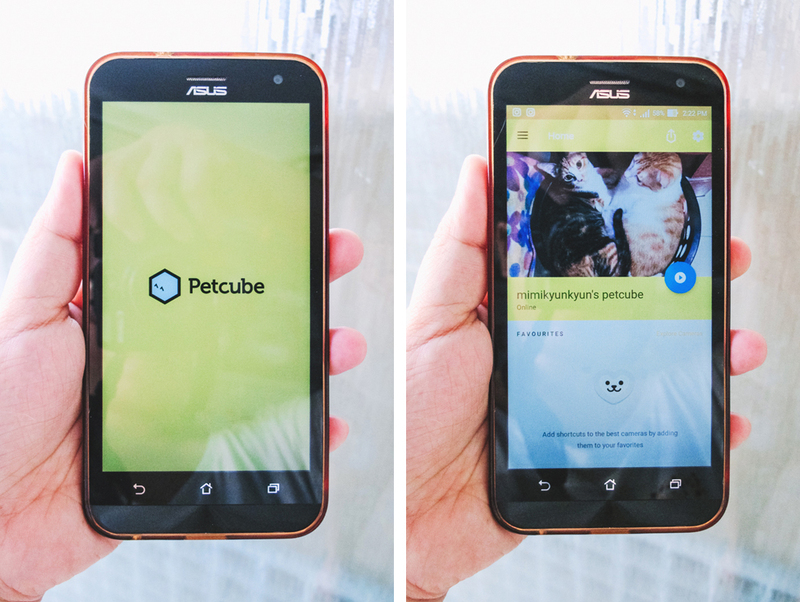 Aside from the Petcube's built-in features, the app also has a few fun things that you can play around with, like the Play and Explore features! 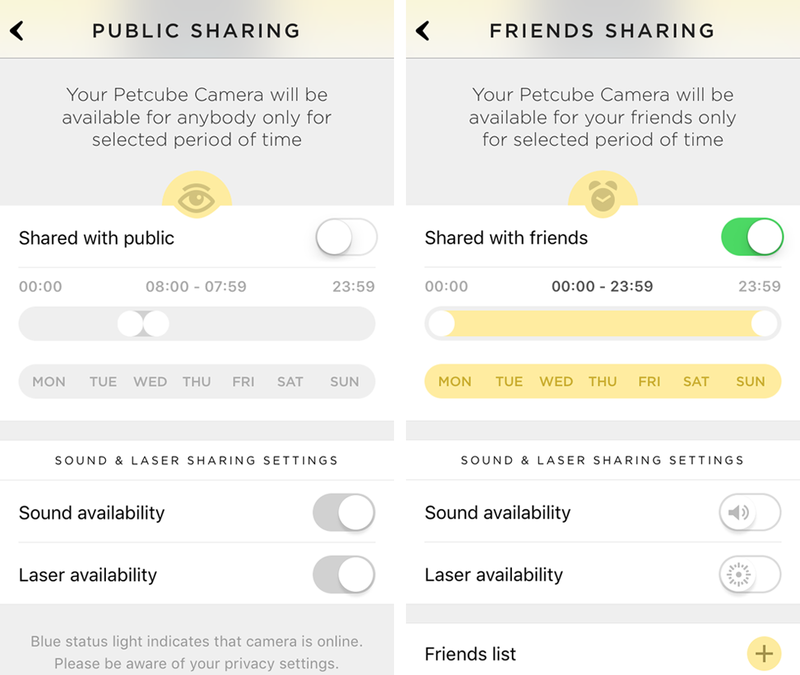 The Play feature shows a list of public Petcube cameras that you can watch. I think some shelters have their laser function turned on, so you can play with some rescued cats and dogs if you want! I think that's a really neat feature. I love rescues so much, so being able to play with them makes me happy. The Explore feature is similar to that of Instagram's. I think you can use the app to post photos of your pets, but I haven't tried it yet. Imagine an feed with only kitties and puppers!! So cute. Adorable Gypsy (@aekralle17) who loves to play! I was surprised when she went up to look at the Petcube after I turned off the laser! Now that I've talked about the Petcube Play's features in detail, let's take a look at the pros and cons. It's great that you can talk to your pets through the 2-way audio. Most of our cats know their names and one of them, Jake, is super responsive, so it makes me happy to see them trying to look for me when they hear my voice. More than a way to talk to them while we're away, Aian and I see the video function as a great way to keep watch over the kids while we're out of the house. The Petcube's sound detection feature also works well for this. The changes they made from the original Petcube camera helped a lot. Setting up the Petcube Play was really easy with the new Bluetooth setup feature. Plus it's now more compact, so it's easier to place it anywhere. The laser function is so much fun to play with! The kids love it. 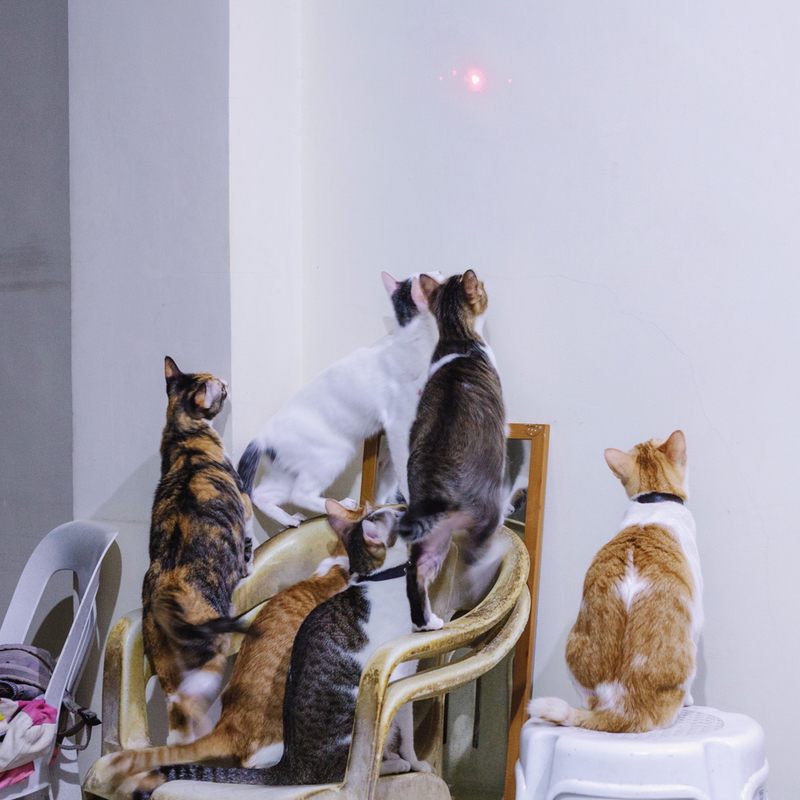 One of them, Leng, rarely plays with the others when we bring out cat toys, but whenever we bring out the red dot, he chases after it. You can invite family and friends to view your Petcube video feed. 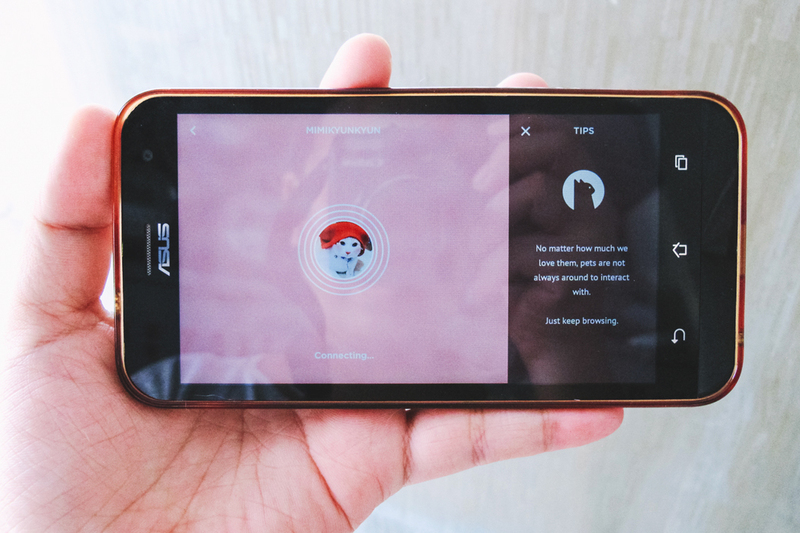 With this feature, your family and friends can talk to and play with your pets as well. 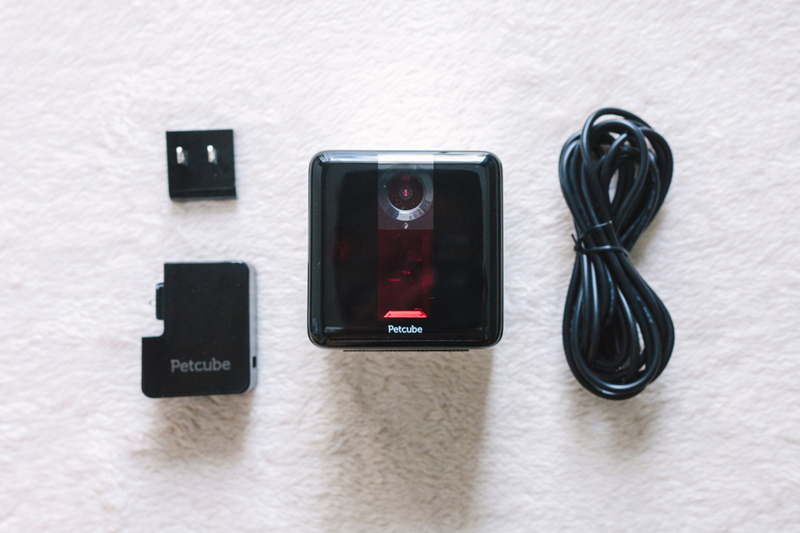 Through their Petcube for Shelters program, Petcube has donated several of their cameras to pet rescue and shelter organizations. I love rescues, four of our own babycats were rescues, so this gets major plus points from me. 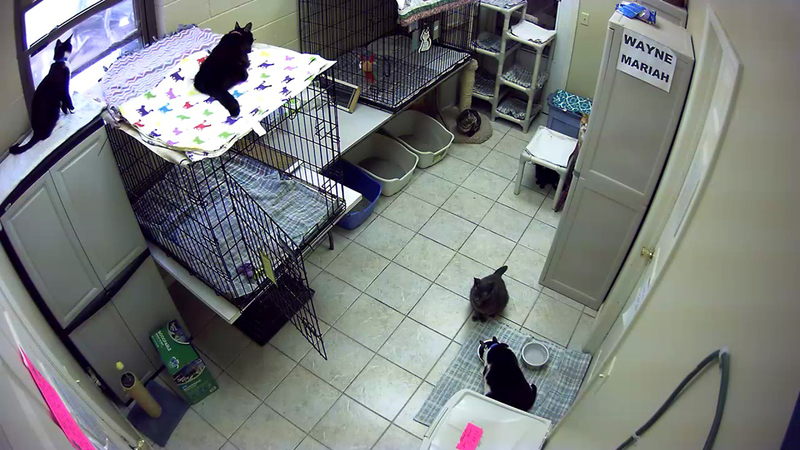 I also think it's great that you can interact with the kitties and puppers from these animal shelters through the Petcube app! Number one problem with this is that it needs a strong Wi-Fi connection to work properly. The Petcube Play streams 1080p HD video, so just using data won't cut it. I've tried several times and the video usually doesn't load, or I get a super blurred picture. Maybe this isn't much of a problem in other countries, but in the Philippines, where the upload speed for most ISPs is at 1Mbps or even less, unfortunately that isn't the case. If there was an option to lower the quality (like on most video streaming sites) to say, 480p, that would be great. There's a bit of a delay in the laser option. I suppose that's only to be expected because you are controlling it from your phone, which uses the Wi-Fi connection. But the laser itself is a bit hard to control. Sometimes when I point at an area on the screen, the laser shows up somewhere else. I feel like the calibration is just off, so I'll have to work on that soon. The Petcube has to be plugged in to work. When I first received it, I thought you only had to charge it then leave it on your preferred spot afterwards. Turns out it has to be plugged in the whole time. Which is understandable, since streaming and such uses up a lot of power. The thing is, I placed our Petcube in an area without an outlet (inside a bookshelf). I solved this by plugging it in a power bank instead. It works well, but you have to have the power bank at 100% battery before you leave the house. 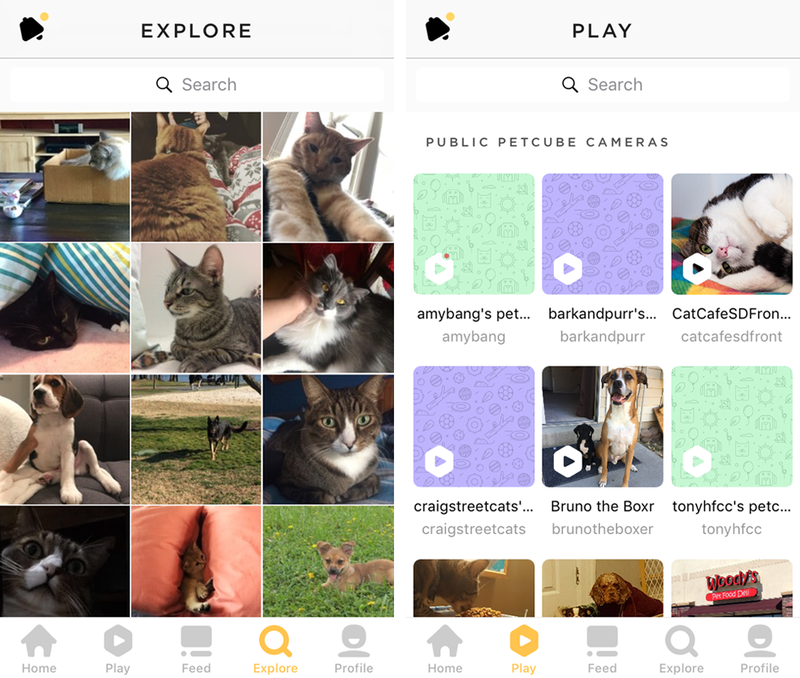 This isn't a big deal, but one thing I noticed is that the Petcube app's interface looks slightly different on the iPhone and on an Android phone. The above are screenshots using an iPhone. 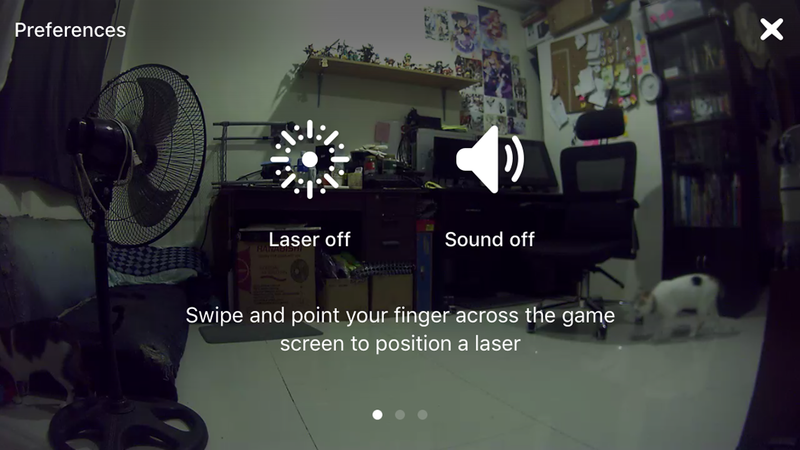 On the iOS, you can only zoom in and out or choose to turn the Laser and Sound on and off while using the camera, but on Android you have a nice sidebar with Laser, Sound, and a couple of other options, Tips and Share. 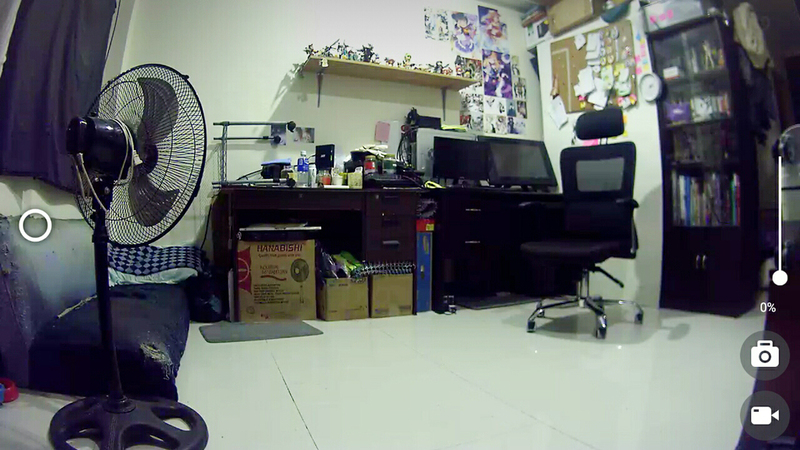 I actually prefer watching from Aian's phone because it looks a lot nicer. Petcube doesn't have a desktop version of the app. I wish they did! I'd like to be able to see what the kids are doing from my laptop while I work in another area in the apartment. The price is a bit steep at $199. I'm quite thankful that I was sent this as a gift, but for people considering to get their own cameras for their pet, the price may be an issue. 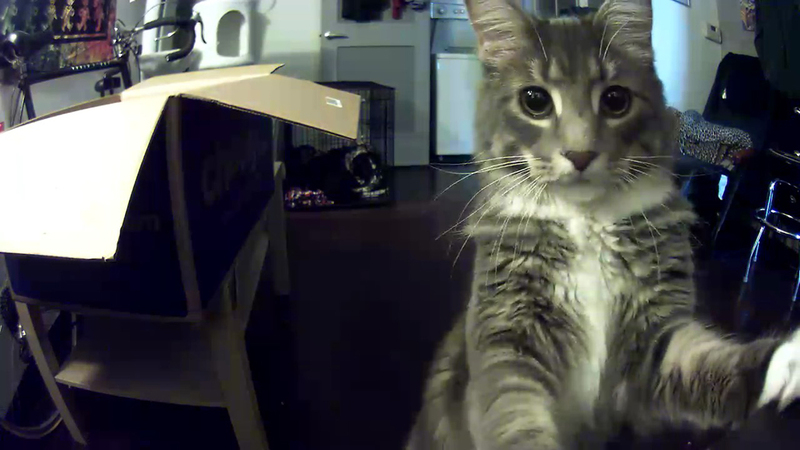 The Petcube Play is an amazing gadget. 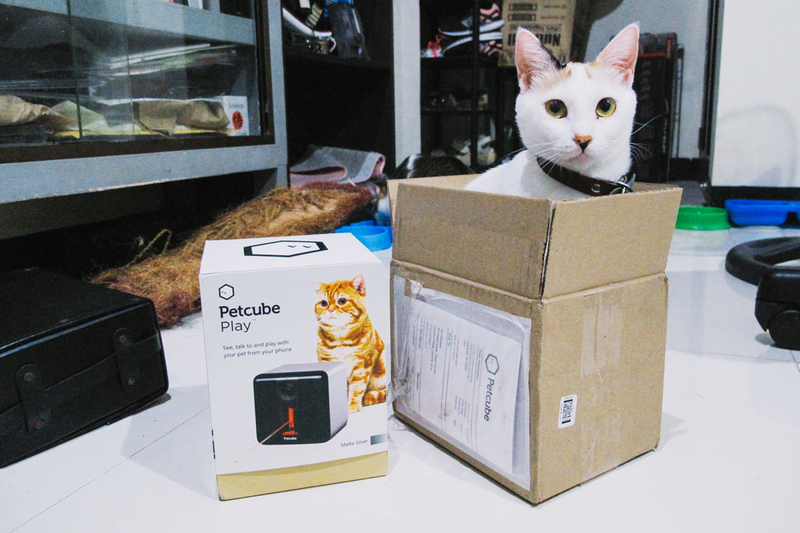 It's a high-quality camera that lets you watch, talk, and play with your pets.. what else do you need, really? Other than the Wi-Fi connection issue, which I assume only affects countries with bad internet, I don't have any problems with it. Though it would be great if all the other things could also be improved upon. With the issue of the price, I feel like $199 for this piece of technology is a good investment. I'm saying this as someone who has 7 cats! I constantly worry about them whenever we go out, but having this has given me peace of mind. If your pets are as mischievous as ours, our if you just can't bear to be apart from your pets, I definitely recommend looking into the Petcube Play, or any of Petcube's other cameras. DISCLAIMER: This product was sent to me by Petcube for review, but the opinions expressed here are 100% my own. Financial compensation was not received for this review. This post also contains affiliate links. Clicking those links before you shop means that Chainyan.co receives a small commission, which helps to support the blog. Please see my full disclaimer for more information.